I started reading this blog since Jan 2013. This blog helped me a lot to prepare for my H-1B visa interview. It also acted a support group during April 1-8, 2013 when the H-1B lottery was conducted. I am a recent graduate and would be working for a product based software company (X) in the US. X filed my H-1B petition on April 1, 2013 under premium processing. Thankfully I got through the lottery and got the intimation for the same on April 9, 2013. My petition was approved on April 15, 2013 and received my visa packet dispatched by X containing my I-797B in India on May 15, 2013. I scheduled my visa interview at the New Delhi Embassy on August 5, 2013 and my OFC appointment at New Delhi OFC on August 2, 2013. I carried a lot of documents to my visa interview, practically every document received after my 10th Boards. The New Delhi OFC (S-1 American Plaza) is situated just beside the Nehru Place Metro Station. I took a metro to Nehru Place and walked to the OFC. My appointment was scheduled at 10:00 AM but I reached at 9:00 AM. There was no queue and I was allowed to go inside early. The security and staff at the entrance checked my passport, interview appointment letter and the DS-160 confirmation page. Then they stuck my DS-160 barcode sticker behind my passport. Use of mobile phones is not allowed hence I was asked to switch mine off at the security check. I was allowed to carry my mobile with me. There was no queue inside and several counters were empty. There are seats available to sit if there is a crowd. I went to an empty counter and gave my passport, appointment letter and DS-160. The person was behind a glass window and we had to communicate thorough microphone and speakers. He confirmed a few details from my passport. Then took my finger prints and picture. He stamped my appointment letter and returned all my documents. He gave me list items not allowed to be carried in the embassy and a blue dart courier slip. He also asked me bring a 2 inches x 2 inches photograph to the Embassy for my interview. I did take the photograph the next day but no one at the embassy asked for it. The whole process at the OFC took less than 10 minutes and I was out by 9:10 AM. There are a lot of places to eat around the Metro Station so don’t worry about food for early morning appointments. Just get there in time. The nearest Metro Station to New Delhi Embassy is Race Course. The embassy is around 3.5 km. from the station. Auto rickshaws are easily available. My visa interview was scheduled at 10:00 AM. I reached the Embassy at 8:45 AM. There was a small queue which I joined. While in the queue a staff member asked for my passport, DS-160 confirmation and I-797B. I gave him a copy of I-797B after asking if the original was mandatory. I did carry the original with me though. He stapled the DS-160 confirmation and I-797B with my passport. The same person was also collecting sealed enveloped (if any) from the applicants. I proceeded in the queue to the counter. The staff there scanned the barcode from the sticker behind my passport, interview appointment letter was not asked. Next I was asked to deposit my mobile phone and other electronics (pen-drive etc. if any) and was issued a token for the same. After this I was allowed to enter the consulate at around 9:00 AM. At the consulate gate there was security check and frisking. After which I was issued a token number and asked to sit in the waiting hall. I was also given a white pamphlet about my rights in the US. There were chairs available and the place was half full. People were called inside according to token numbers. Each visa classification has a different token number series. After around 30 minutes my token number was called and I was asked to proceed to the visa interview building. Once inside I was fingerprinted at a counter and asked to wait for my token number to be called for interview. The token numbers were displayed above interview counters. Very soon my number was shown above a counter and I joined the queue at the counter and waited for my turn. Again the interviewer was behind a glass and communication was thorough microphone and speakers. Talk as if the person is 3 ft. in front of you. I just gave my pas sport with the stapled documents. Do not give/push anything that was not asked for. Here is the transcript of my visa interview. VO: Why are you going to the US? ME: I am going to the US to work at company X.
VO: What will you do at X? ME: I will work as a software developer for X on product Y.
VO: Is the work In house or at a client site? ME: In house. X is a product based company so there are no clients but customers who buy the products. VO: Where will you work? ME: I will work at Z City. VO: What is your salary? VO: How many employees does X have? VO: What does X do? ME: X develops Y products. I have a product brochure if you want to see. VO: How long have you been with X? ME: It’s my first job. VO: Have you been to the states earlier? VO: Have you been outside India? VO: I am approving your visa you will get your passport in 2 days. I exited the building at 10:00 AM. You can submit a courier slip if you want. At the entrance I collected my mobile phone. The documents stapled to the passport was kept by the VO hence I had earlier preferred not to submit my I-797B in original. By the time I checked the status on the CEAC website it had turned to Issued. 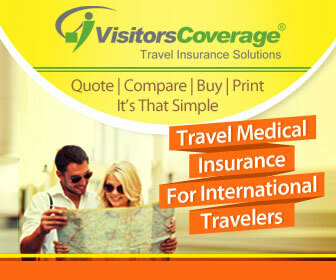 Usually visas are processed and available in 3-4 days. But, my visa was not processed even by the 14th day. By day 10 I had started calling up the visa call center and writing mails to the customer service. Most of the executives did not know what to do and gave me standard replies assuming my visa was under Administrative Processing. I usually had to argue a lot and some of them said that they do not know what to do. Finally, on day 11 I was able to connect to an executive who said that he can escalate my case only after 14 days from the interview. When I called on day 14 I asked for the specific executive who then escalated my case. Within 48 hours I got an email reply that my visa has been processed but I would have to collect it from the Embassy. Embassy is open for visa distribution only from 3:30 PM to 4:00 PM on working days. Only diplomatic visas and specific stuck cases are distributed by the embassy. I had to show the printout of the email asking to collect the visa from the Embassy to enter. Same security check and mobile collection. I went straight to the visa interview building. Only one counter was open. There were total six people there four to collect diplomatic visas and two of us with the visa stuck after approval. I gave the printout of my email to the officer who had to search for my passport. She finally found it and gave it to me after taking my mobile number. All in all except the unexpected delay the process was smooth. The service at US Embassy and their Nehru Place office is very good and prompt. I was quite impressed. Staff at both the places was cooperative. Mine is same case , Can you please let me know , whom you had contacted and any direct number of executive. Thanks for your information. Can you please tell me ho your visa has approved on august 5 . If I am not wrong visa process for the year 2013 will be start from 1st Oct. Please reply. Sorry to say this but you are mistaken. One can start working on H1b visa from October 1st. Visa can be filed on 1st working day of April for the year and approval can be before or beyond October. Could you please tell me after how many days or hours of VO interview, did you check CEAC website for your case status? I have given interview on 17th Morning in Delhi, so when can I see the status of the visa? I had checked the status about 2 hours after my interview. It was already on Issued by then. I too have my interview scheduled on Wed i.e 18th Sep. Docs are in place and I am stuck with logistics. Need to drive at Consulate and want to know if we have locker facility as you told where I can put my car keys and phone safely. Appreciate a quick response. Thanks in advance. At the New Delhi OFC/VAC you will be allowed to carry your cellphone, key fob and other electronics. You just have to switch them off. At the Embassy the security will collect your small electronics items (cell phone, pen drive, key fob), make an entry in a register and issue you a token against them. If your car keys are on a simple key ring and not on an electronic key fob you can carry them with you. I carried my keys with me, such small items are inspected later while frisking. Large items like laptop and/or bags are not allowed. Kumar on Can you Apply to different Specialization or Major for MS in USA? Change Majors ?